Road biking is wonderful in Iowa. If you are looking for a new place to ride or a route to train on, this is your page. We have routes from all over the state that have been tested and approved by bike clubs.  Iowa Bike Routes is constantly adding routes to the website. Distance: 22 miles Cumulative climb: 1224 ft Route Surface: Road Cities:Sioux City Download the KML file. Download the GPX file. Distance: 40.9 miles Cumulative climb: 1040 ft Route Surface: Road Cities: Bronson, Climbing Hill, Moville, Sioux City Download KML file. Download GPX file. Distance: 23 miles Cumulative climb: 697 ft Route Surface: Road Cities: Bettendorf, Argo Download the KML file. Download the GPX file. Distance: 20.7 miles Cumulative climb: 1107 ft Route Surface: Road Cities: Decorah, Bluffton Download the KML file. Download the GPX file. Distance: 28.2 miles Cumulative climb: 1189 ft Route Surface: Road Cities: Mabel, Burr Oak, Decorah Download the KML file. Download the GPX file. Distance: 41 miles Cumulative climb: 953 ft Route Surface: Road Cities: Decorah, Nasset, Waukon Download the KML file. Download the GPX file. Distance: 40.5 miles Cumulative climb: 1057 ft Route Surface: Road Cities: Iowa City Download the KML file. Download the GPX file. Distance: 13.4 miles Cumulative climb: 280 ft Route Surface: Road Cities: Iowa City Download the KML file. Download the GPX file. Distance: 29.3 miles Cumulative climb: 501 ft Route Surface: Road Cities: Hinton, LeMars Download the KML file. Download the GPX file. Distance: 28.7 miles Cumulative climb: 1033 ft Route Surface: Road Cities: Davenport, Le Claire, Bettendorf Download the KML file. Download the GPX file. Distance: 45.9 miles Cumulative climb: 1734 ft Route Surface: Road Cities: Iowa City Download the KML file. Download the GPX file.